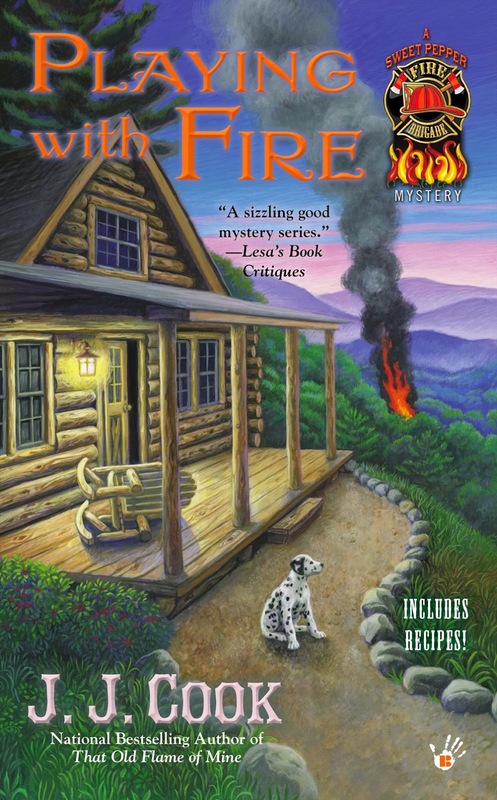 Fire Chief Stella Griffin is working to solve the mysterious death of her predecessor, Eric Gamlyn--who also haunts her cabin. Yet the more she learns, the more burning questions she must answer. Just as Stella think she has a lead from Deputy Chum, someone snuffs her hopes--and the lawman. This book series is going to be a hit. I absolutely adored the first in this series and the second one is even better. The thing that really makes me like this series is that unlike other cozy mysteries, these books seem to continue until the next. Every book leaves the reader with a cliff hanger and god I cannot wait to get my hands on the next one. Usually most cozy mysteries will deal with the mystery in that book and some details carry over to the next book. Not this series. I absolutely was left on the edge of my seat at the ending and I don't think that the author can write this one fast enough for me. 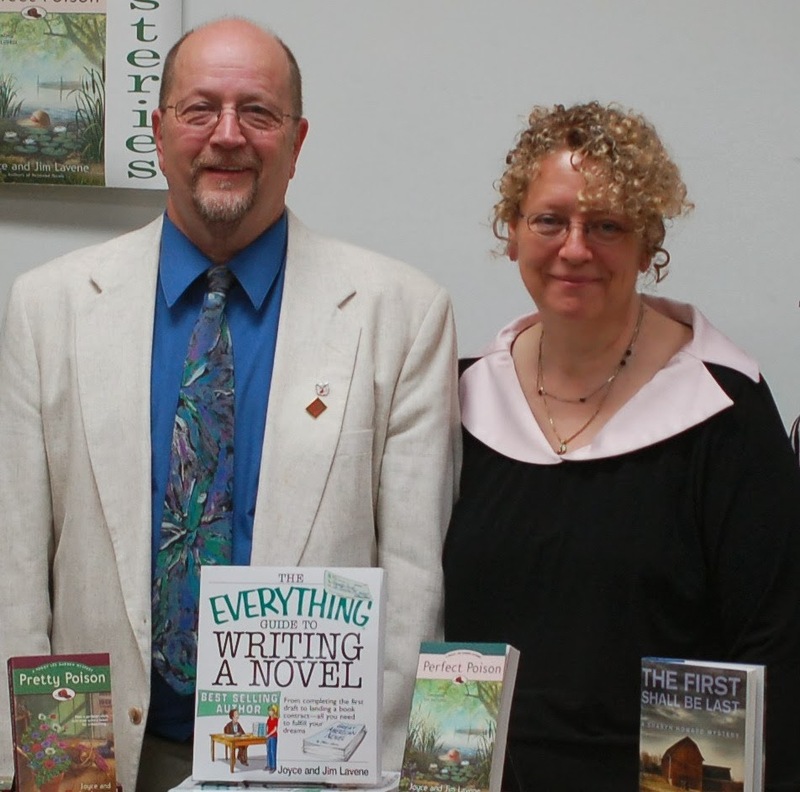 I had the pleasure of meeting Joyce and Jim Lavene, the mastermind behind this series and other cozy series one day when they were at my local Books-a-Million. They are amazing people and even more amazing writers. Whatever they are doing it needs to continue, because the books that I have read by them so far are so spot on and delicious that I cannot help but want to read every single thing that they write. In this one, Stella Griffin is torn between leaving Sweet Pepper and returning to her old life in Chicago. 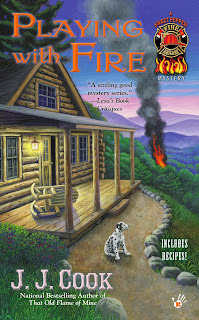 She has made friends, made a name for herself as the temporary fire chief and made a connection with the ghost living in her cabin. She is reluctant to move on and put all of these things in the past. This book has a slew of suspicious characters and while I've never really been all that intrigued by firefighting, the authors really make this an interesting topic. This one was impossible to put down and I had to stay up to finish it despite being exhausted the next day. I cannot encourage this series or this author enough and I hope that you love this one as much as I did. I even think that I liked this one more than the first. 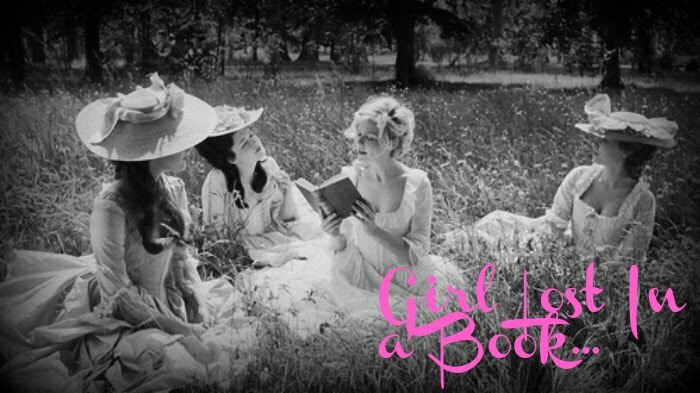 A stellar read that will keep you in suspense from page one and rooting for Stella and her friends all along the way! This has been a stop on the Chili Con Carnage blog tour presented by Great Escapes Virtual Book Tours. Make sure you check out all of the other stops on this tour! Disclaimer: This book was given to me by the publisher, through Great Escape Book Tours, in exchange for my honest review. I reviewed this book without compensation of any kind. All thoughts and opinions are solely mine. I really like this series and am really looking forward to getting this new book and reading it. I like the idea of the friendly, protective ghost! I like the review. A cliffhanger always captures my attention. I must read the first one...or maybe wait until there are at least three so I only have one cliffhanger. I have read other books by Joyce and Jim Laverne and loved them. How could anyone not want to live in Sweet Pepper, Tennessee! I only recently have started reading cozies but I have come to love them, and this one sounds like a good read!